ELEPHONE PX teased, a phone that looks like the P20 Pro, Find X, and NEX S in one! Home / elephone / mobile / news / ELEPHONE PX teased, a phone that looks like the P20 Pro, Find X, and NEX S in one! ELEPHONE just teased the PX. It's an upcoming smartphone with a metal and glass design, near bezel-less display, triple cameras at the back, and a pop-up dual camera in front. 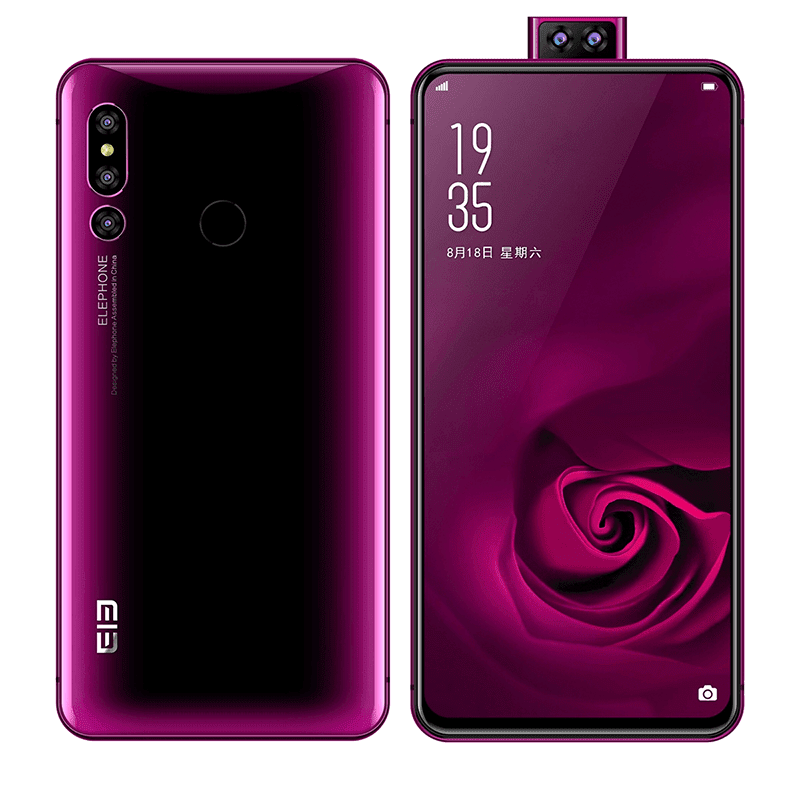 Basically, the design of the ELEPHONE PX is like the Huawei P20 Pro and OPPO Find X in one. The 3D glass design and triple camera alignment at the back is very much like the P20 Pro. The bordeaux red-like color paint finish at the back reminds us of the Find X. The motorized camera reminds us of the pop-up camera of the system of the NEX S. But, it has a dual camera setup in front. The full screen display is like the Find X and NEX S.
Then since it has no visible fingerprint scanner at the back and front, we suspect that it has an In-Display fingerprint scanner. Aside from the press render, nothing else was revealed yet.